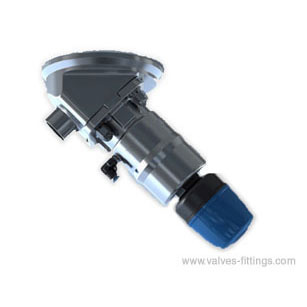 AV-10 sanitary tank bottom valve is used extensively in the tanks and vessels for pharmaceutical, biological, and food industries. This series includes tank bottom diaphragm valves, tank bottom seat valves, elbow-type tank bottom valves, etc.. Optional: PTFE, all seals complying with FDA 21CFR177.2600.